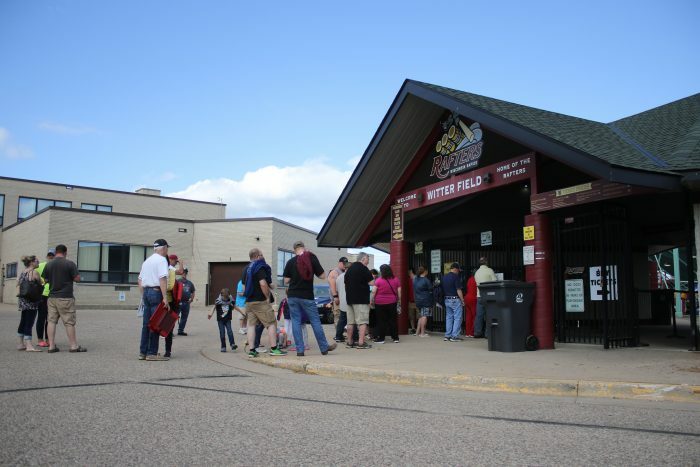 Wisconsin Rapids, Wis. – Big Top Sports & Entertainment, which owns and operates four teams in the Northwoods League, announced today that Green Bay Packers Hall of Famer Jerry Kramer will make a statewide tour to their four ballparks from June 25th through June 28th this summer. Jerry Kramer’s appearance at each stadium will be twofold. For the first 60 minutes after gates open, 6:05-7:05, Kramer will sign autographs on photos provided by each team for 75 VIP ticket holders. No personal items will be signed during this time. A limited number of these VIP ticket packages are on sale now for $20 and include a reserved bleacher seat to the June 25th Rafters game, photo of Kramer for guaranteed autograph, and the ability to jump the line during the first 60-minute time slot. The VIP ticket package can be purchased online at raftersbaseball.com or by clicking on the buy tickets link on the Rafters Facebook page starting April 8th and ending on April 14th at 11:59pm. Kramer will throw out the first pitch prior to the game in each venue. At the conclusion of the first pitch, he will return to the autograph site in each stadium for a public session hosted by Mayfield Sports Marketing. At this time fans may have personal Packers items autographed at the rate of $50 for photos (11×14 or smaller), mini helmets and $60 for jerseys, full size helmets, artwork, and footballs. All autographs include the HOF inscription. Additional inscriptions such as Super Bowl Champs, etc. will be $15 each. Mayfield Sports will also have merchandise available for purchase at each site such as photos, footballs, jerseys, mini/full size helmets and HOF items.